Lots of super new releases either imminently or expected - look out for some of these. 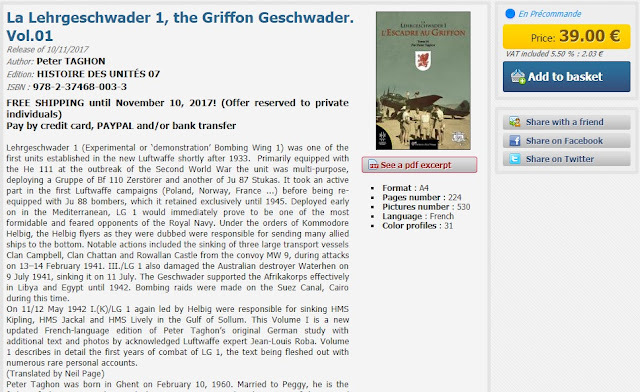 Peter Taghon's French-language history of Lehrgeschwader 1 - reworked from Taghon's German edition with additional material by Jean-Louis Roba and artwork from Thierry Dekker. Click on the image to go directly to the Lela Presse website. 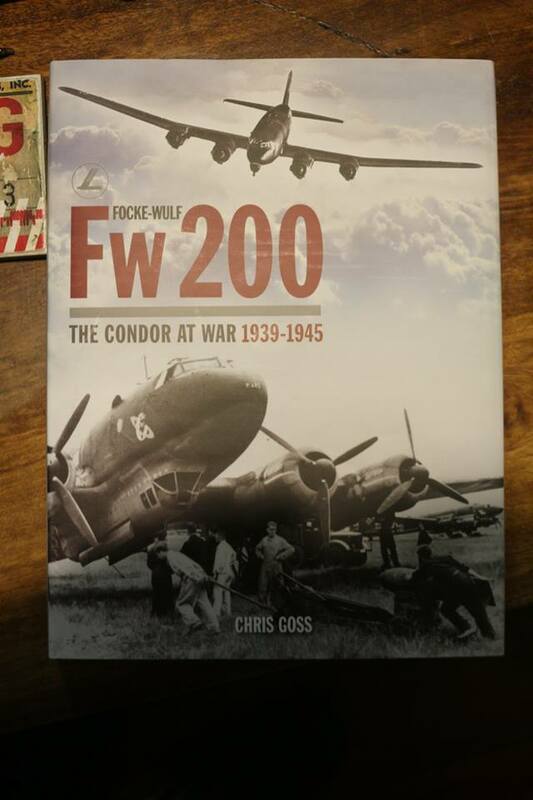 A brief look at Chris Goss's new Fw-200 book published by Crecy.
" 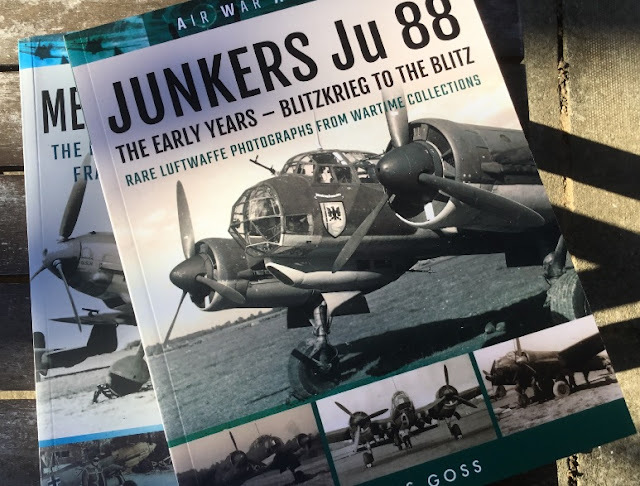 ...my first "open" of the book, looks really good' says James Stewart who took these snapshots..
" ..my first photo books for Frontline are now available with the remaining books in the first part of this series following in the next few months. Bit of a departure for me but they wanted to do a series along the lines of what Bryan Philpott did for PSL in the late 1970s The idea of this series is based on Bryan Philpott's BA books from the late 1970s but with decent sized photos and full captions (which was what the 70s books lacked). Photo quality was insisted on. The trouble with many of the early 109 photos is that quality wasn't that brilliant. 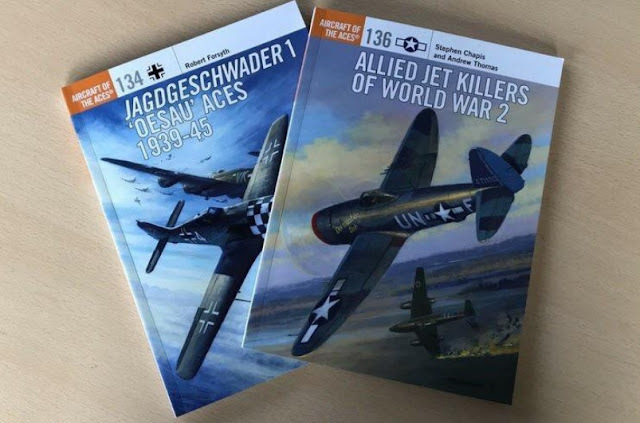 Feedback from the 109 and He 111 books has been good I should say..."
These two volumes look at the early variants of the Bf 109 and the Ju 88 - with extensive coverage of Battle of Britain units. The captions are mostly very detailed. 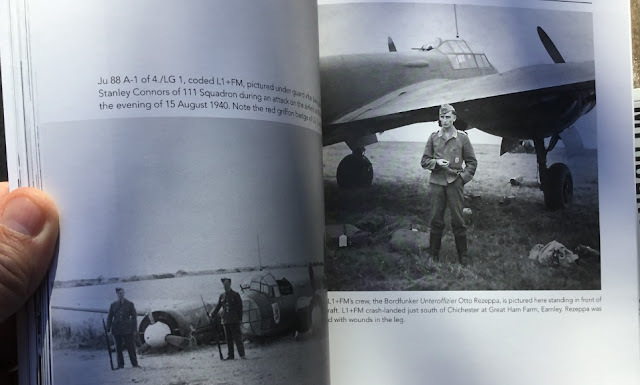 While some are a good half page in length, others though offer merely a handful of sentences; for example on page 99 of the "Emil" book ; " Major Adolf Galland in his Bf 109 E-4 of JG 26. The nose appears yellow and the aircraft carries the Schlageter shield, his personal Mickey Mouse emblem and the Kommodore's chevron". And for a photo book which will perhaps stand or fall on the quality of the image reproduction, some images are not as clear as others, but doubtless included due to their rarity. 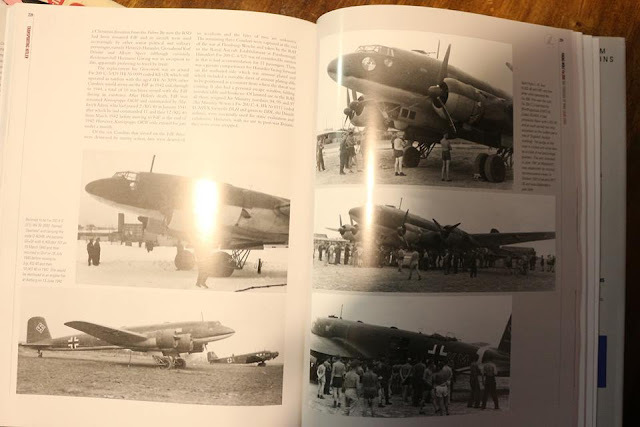 Some photos are reproduced over an entire page, others get half a page. Photo selection is interesting - although perhaps less so if you have the author's previous works covering JG 53 for example and/or are familiar with Michael Payne's archive. I was impressed with the page count, which is around 170 for each volume in this series which represents good value for money. 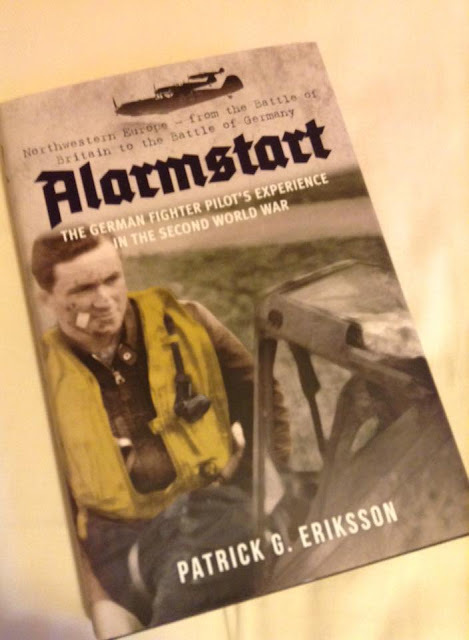 New from Amberley books - "Alarmstart " by Patrick G. Eriksson. "..I'll add another huge thumbs-up for "Alarmstart". I wasn't expecting much when I ordered it, but I was thoroughly impressed when it arrived. 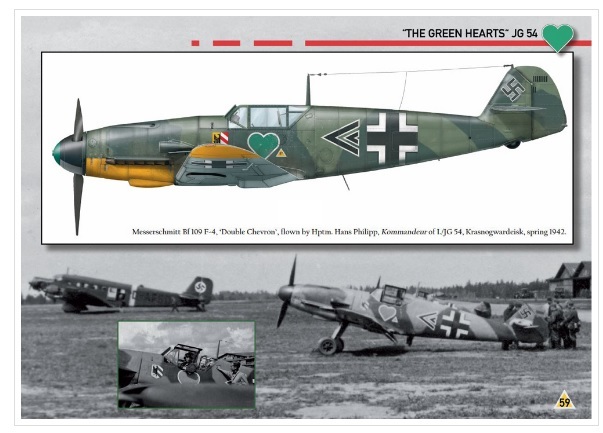 Eriksson includes personal accounts provided by 108 Luftwaffe veterans, with ranks ranging from Gefreiter to Oberst. 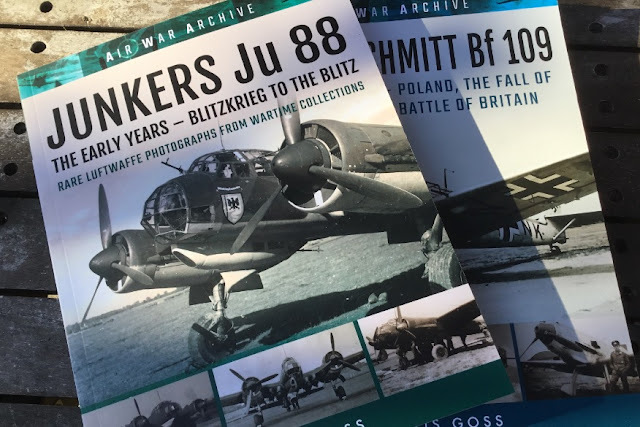 He weaves them into well-researched potted histories of the major campaigns in the West, from Poland to the defence of the Reich in June '44. He also includes some OOBs and interesting analyses in the form of tables and charts that are reminiscent of Williamson Murray's fine work. It's rounded out with a good selection of photos, extensive footnotes, and a bibliography and index. The cherry on top is that two further volumes are planned: one devoted to the Mediterranean and the last year over Germany, and the other covering the Eastern Front, the German victory claims system, and pilot training. 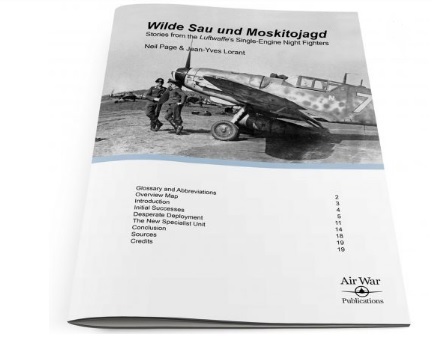 I'm very much looking forward to these..."
Morton Jessen at Air War Publications has released a new eArticle entitled 'wilde Sau und Moskitojagd' compiled by this blog author. Features rare personal accounts with some excellent images from the collection of Jean-Yves Lorant who deserves our gratitude, not only for making this a quite exceptional eArticle for AWP in my humble opinion, but for enabling this publication to go ahead. For just a handful of euros you get rare photos, accounts and some exclusive Hjortsberg artwork. Download the 19-page PDF for your tablet or print it out. 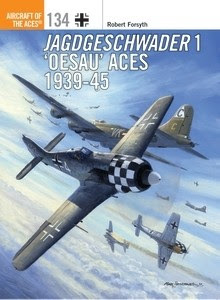 Two former wilde Sau pilots of JG 302 and I./NJG 11 describe some of their hair-raising experiences in single-engine fighters at night in the cloud-banked and freezing skies over Germany during the winters of 1943 and 1944. Text and pilot interview translation by Neil Page. 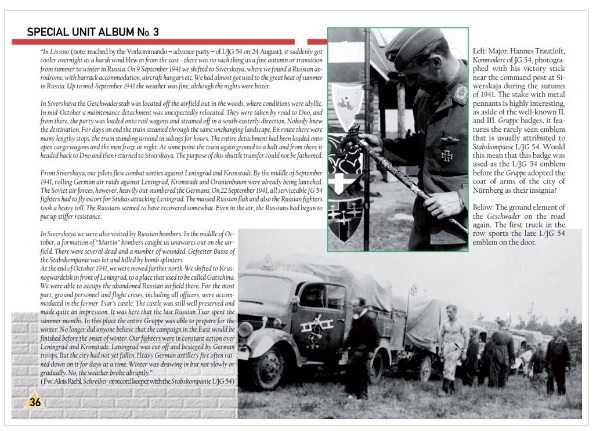 Photographs and pilot interviews, Jean-Yves Lorant. Artwork and additional caption commentary by Anders Hjortsberg. 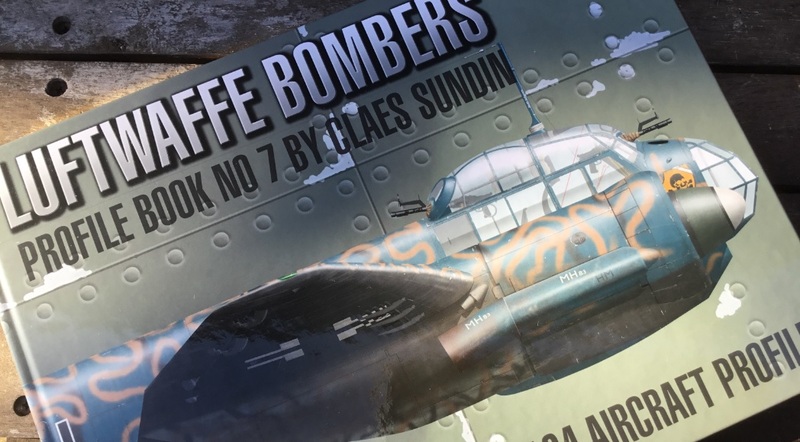 Seen on Osprey's Twitter feed - the first look at a new Forsyth 'Aces' title due before the end of the year. Well Done, Claes! 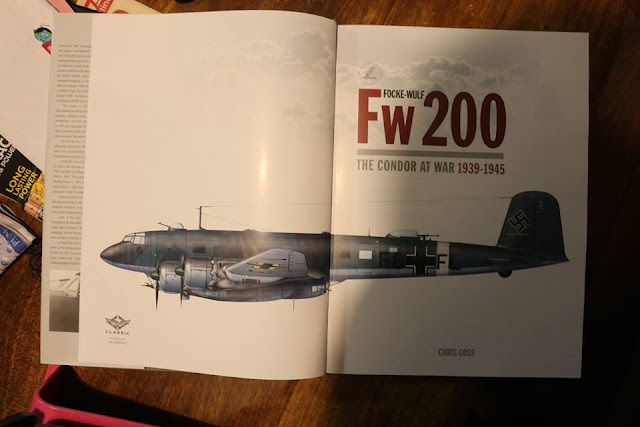 Your "Bomber-Book" arrived Yesterday. What a variety of Camouflage patterns, Great. The colors are awesome. 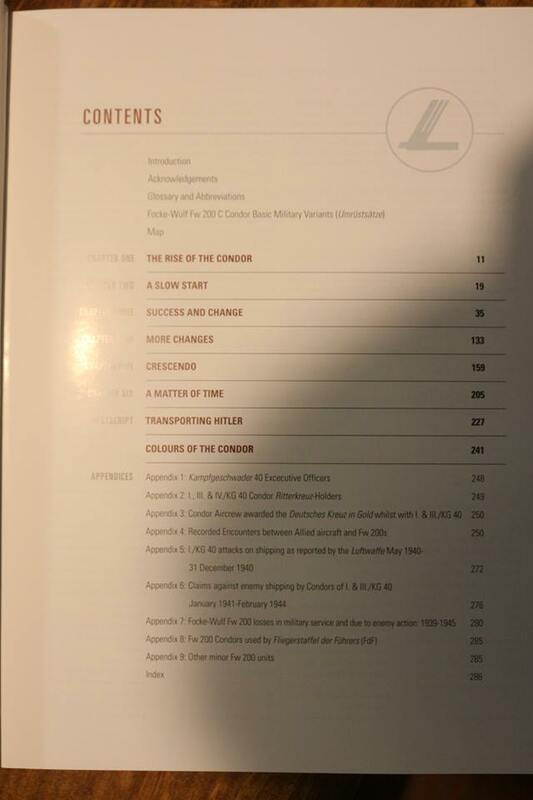 As well all the Details and of Course the "background" information about each plane. Bravo.